Netflix is a subscription service for on-demand video streaming and a silo of lists of shows you want to watch, shows you have watched, and lists of shows you like (or dislike). No known method for automatic PESOSing. Eddie Hinkle is in the process of manually importing Netflix watch history by creating manual watch posts on his site since October 2017 while looking at the viewing history page. He now creates manual watch posts whenever he watches something so Netflix viewing history no longer matters. want posts for shows you want to watch managed in a list AKA your "queue"
??? Unknown how to export - has anyone figured this out? You can use this Greasemonkey script to scrape all your ratings into a CSV document. 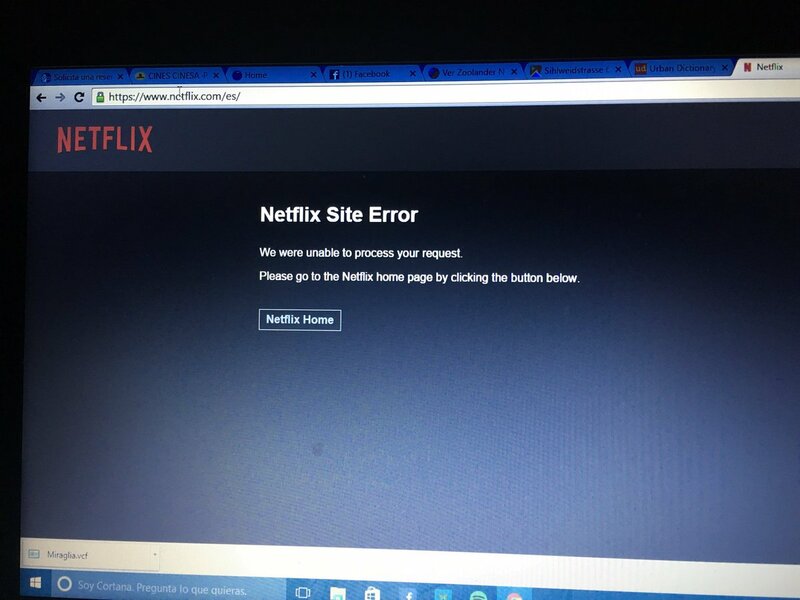 On 2016-03-09 The Netflix website appeared to be down, and showed a "Netflix Site Error" page which directed users to go to the home page, even if they were already on it. Twitter users tweeted about Netflix being down more than once a second. We're aware that members are seeing issues (Netflix Site Errors) on our website along with errors on devices. We are working towards a fix. This page was last edited on 4 May 2018, at 12:44.